Originating in Germany, it has become the largest Volkfest (People's Fair) in the World, as it is now celebrated all over the globe. 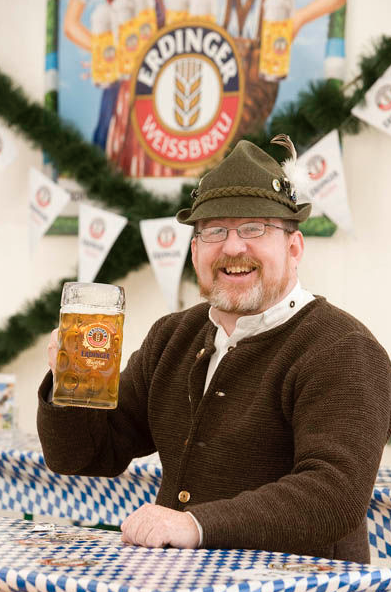 The biggest here in Australia is the Brisbane Oktoberfest, which is held at the RNA Showgrounds and attracts all the Ozzies wishing to have a real Oktoberfest experience without the 20 hour plane ride to Munich! The Oktoberfest tradition started in 1810 to celebrate the October 12th marriage of Bavarian Crown Prince Ludwig to the Saxon-Hildburghausen Princess Therese. 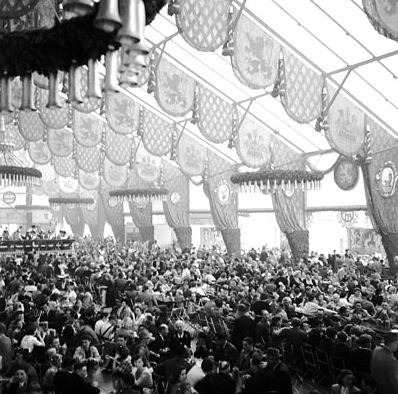 The citizens of Munich were invited to join in the festivities, which were held over five days on the fields in front of the city gates. 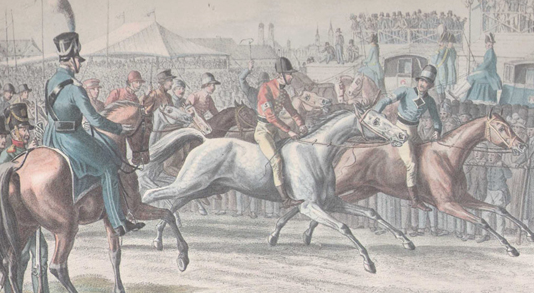 Strangely, the most popular attraction at the first Munich Octoberfest in 1810 was horse racing - not beer - because there wasn't any! However, this sorry state of affairs was not to continue for long. Anniversary celebrations were held annually thereafter and they became larger and more elaborate. 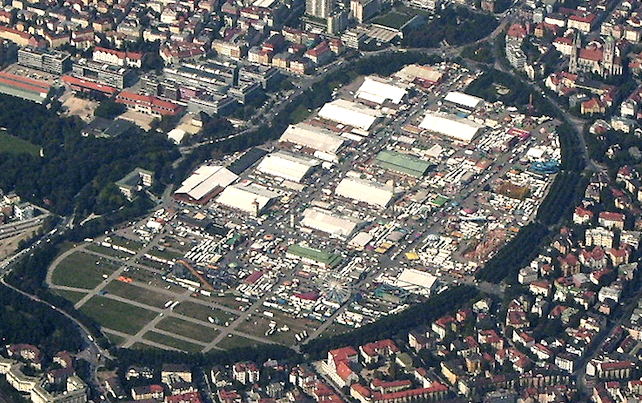 An agricultural show was added during the second year. In 1818, a carousel and two swings were set up for the revelers. Such amusements were few in the first decades of the festival, but party-goers were amply entertained by the tree climbing competitions, wheel barrow and sack races, mush eating contests, barrel rolling races, and goose chases. By the 1870s, mechanical rides were an expanding feature of the festival; and in 1908, the festival boasted Germany's first roller coaster. When the city began allowing beer on the fairgrounds, makeshift beer stands began cropping up, and their number increased steadily until they were replaced by beer halls in 1896. The beer halls, like the beer tents of today, were sponsored by the local breweries. Today, the Oktoberfest lasts more than two weeks, during which Theresa's once pastoral meadow is covered by more than a dozen huge beer tents. In these canvas monsters, with oompah-bands blaring, some six million noisy revellers from all over the globe congregate. They are there, it seems, for only one purpose: to down more than six million litres (roughly 1.75 million gallons) of beer. This consumption accounts for about 30% of the entire annual beer production of all the Munich breweries combined. These visitors also munch a staggering 400,000 sausages-which equates to about one sausage for every two seconds during the fest's business hours! Now, for the Beer! Oktoberfest beer is of a variety called Märzen. Darker and stronger than traditional beer, Märzen contains up to 6% alcohol, is bottom-fermented, and is lagered for at least 30 days. Before the advent of modern refrigeration techniques, this type of beer was brewed in March (as its name suggests) and allowed to age through the summer, so that it was ready to drink by late summer or early fall. Like all German beer, the Oktoberfest beer is brewed according to strict German standards (called the Reinheitsgebot, which have been in effect since 1516) that precisely define the four ingredients allowed in the brewing of beer: barley, hops, malt, and yeast.